Horses can be not only a joy to own and display, they can also be a wonderful tax write-off. It does not matter whether your operation involves breeding, racing, training or any other type of horse operation it can be your business. But before you start claiming all your horse expenses on your tax forms, you need to know the basic rules and regulations. According to the Internal Revenue Service, unless your horses are classified as a "business," they are not a deduction, and claiming them as such can land you into all kinds of trouble. The most important rule a horse owner must follow is that to write off horse expenses, the horses must be a "business" rather than a "hobby." The essence of a business is that it is set up to make a profit. Whether through prize money or through the sale of stock, your horses must eventually not only pay for themselves, but make at least the most minimal of profits to be considered a viable business. If you business turns a profit for at least two of the last seven years, the IRS will recognize it as a business. Keeping accurate records is part of any business, and the Internal Revenue Service looks at this as a critical step in the horse business. Every receipt, every mile, every expense should have documentation that can be provided to an auditor if one should come calling. You must be able to document the expenses and deductions for your business. There is no such thing as "too much paperwork" when it comes to the IRS. As with any business, you must have a written business plan that can be kept with your records. You should make sure it is updated each year. Your horse business might change from a showing venture to a breeding venture, or other changes could occur. It is important to show the IRS that you have an actual business plan you follow from year to year. 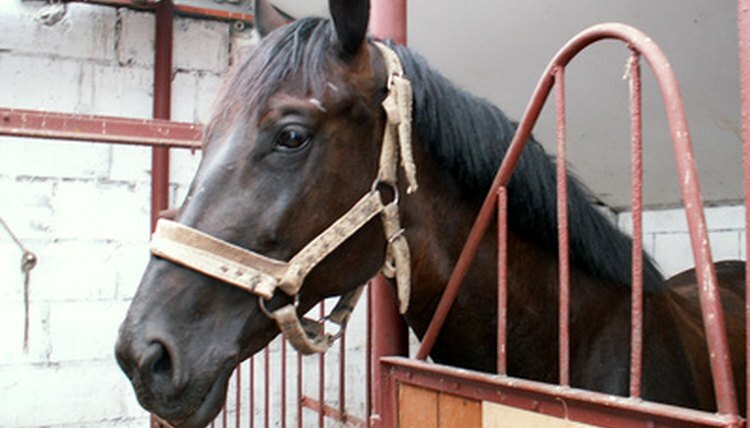 University of Vermont: Are your Horse ExpensesTax Deductible?